NATURAL FIBRE RUGS ARE THE IDEAL DÉCOR ACCESSORY, BUT YOU NEED TO KNOW YOUR MATERIAL FIRST. If you’re decorating your home or simply looking for a nice rug to cover the floor in winter, natural fibre rugs are making a big comeback. Made from plants and reeds, the fibres are hardy and when dried and treated, they’re woven into some of the most comfortable and stylish floor coverings around. Sisal, coir, jute and sea grass are the most popular fibre rugs, and each play parts as functional mats and rugs in households with kids and pets, as well as complementing décor. Eco-friendly and stylish, they’re great for cosy, modern, classic and trending interiors. You can opt for a rug or wall-to-wall carpeting, either way you can’t go wrong with natural fibre. Made from the Agave Plant, sisal is considered the most durable of all the natural fibres. The plant is dried, treated and woven to create a thick thread that is then used to make some of the finest interior and exterior rugs. Sisal is not recommended for use in the bathroom or kitchen because moisture causes this material to shrink. It can be dyed and fitted with an underlay, making it the perfect carpet or rug to complement your décor. Created from coconut fibre taken from the coconut husk, coir is a naturally elastic-type fibre that is also rather strong and ideal for decorative purposes. 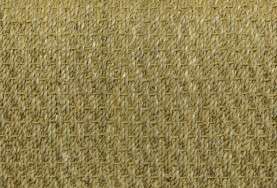 Naturally golden in colour, these fibres add a rustic appeal to most settings. The coconut husk is soaked for a long time before it is washed and dried. 100% Organic, coir is mould and moisture resistant, making it the perfect rug for the kitchen or bathroom. 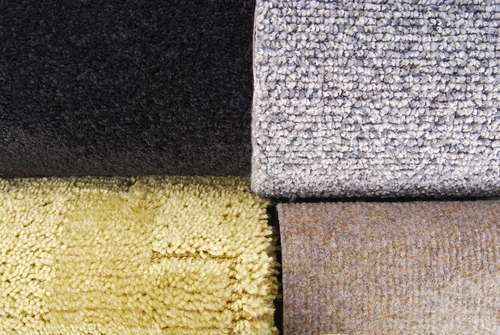 A soft material that is a popular alternative to the other natural rugs made of harder fibres. Hand spun and woven, any imperfections in the grass add to the character of this beautiful material. 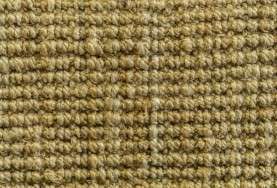 Available in natural golden and low tone colours, Jute is great for homes with a lot of traffic, and yet stylish enough to complement dining room, living room and study spaces. Jute is a great choice because it goes with a wide variety of décor styles and it is good for the environment because there are no synthetics involved in the making of the material. A smooth fibre that is created from reeds soaked in salt water as seawater floods rice paddy fields. Not easy to dye, these rugs have a slight sheen to their light brown and cream colours. Sea grass rugs are ideal for living rooms, bedrooms and as hallway runners. They can become slippery when wet so avoid using in rooms with high moisture conditions such as bathrooms and kitchens. Knowing your natural fibre rugs goes a long way to ensuring you make the right decision when selecting one for your home. The most versatile, stylish and long-wearing rugs around, you really cannot go wrong with Mother Nature’s carpeting.